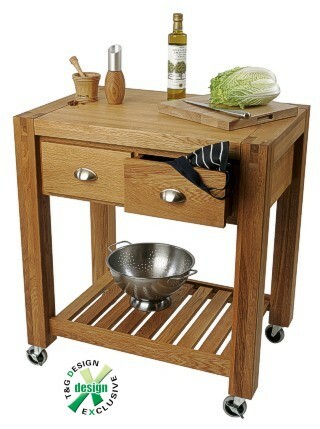 Superb quality butchers table in solid ash with two large drawers and a slatted shelf at its base. Oiled to preserve the natural appearance of the ash. It Stands on four wheels, two of which are lockable and its size is 80 x 55 x 89 1/2 cm high (31 1/2 by 21 1/2 by 35 1/4 inches approx). This trolley is delivered fully assembled.